The next step up from the single line VX-101 is the more adaptable VVX-102 which has 2-lines even though it supports most of the same features and functions. 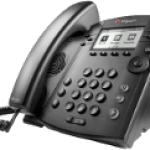 However the VVX-201 supports HD voice as well as having a twin Ethernet switches providing two ports to connect a phone and a PC. The phone is Ideal for desk phones and for shared/ common-areas. 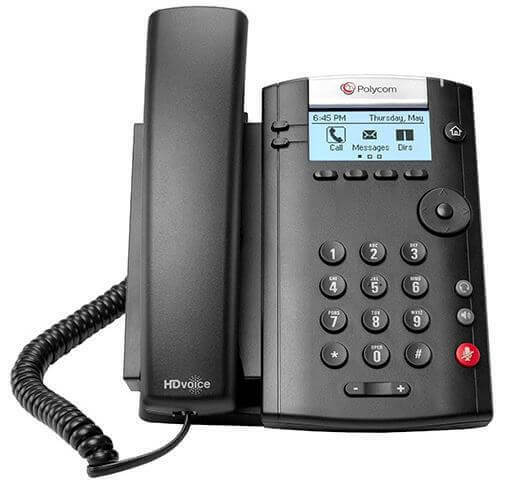 It also provides Polycom’s HD Voice technology and also reduces deployment costs and maintenance. 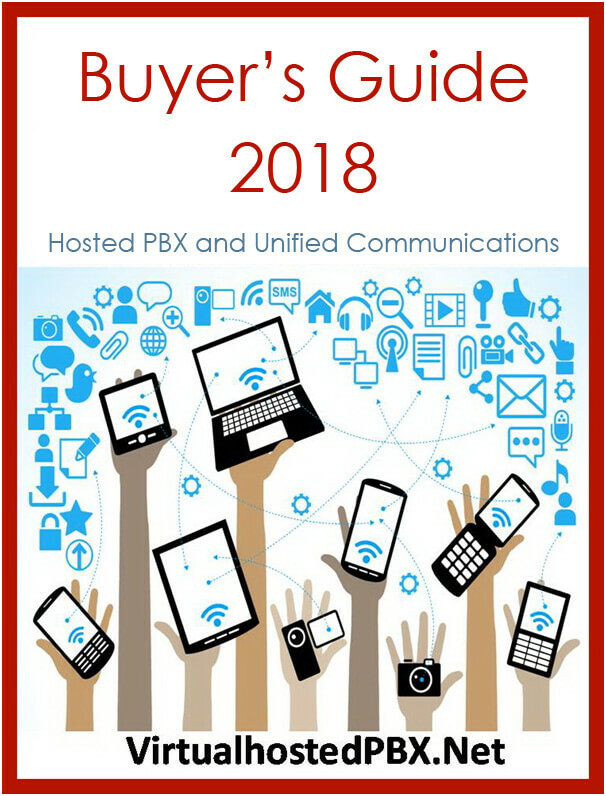 A very good mid-range phone that provides the functionality that will handle the needs of most users. 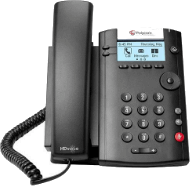 The phone has two-lines and importantly supports HD voice, which is not available in the VVX-101. Therefore the extra price and additional line is probably well worth the additional cost. Function Buttons “Home” feature key, 4-way navigation key cluster with centre “Select” key, 2 volume control keys , hold key , headset key, hands-free speakerphone key, and microphone mute key.